When you’re on the go as much as we are, sometimes you just need a few surf essentials before a big surf trip. Here’s a list of some of our top 10 favorite surf shops across the globe. Whether you’re in Los Angeles or Australia – these shops have you covered. 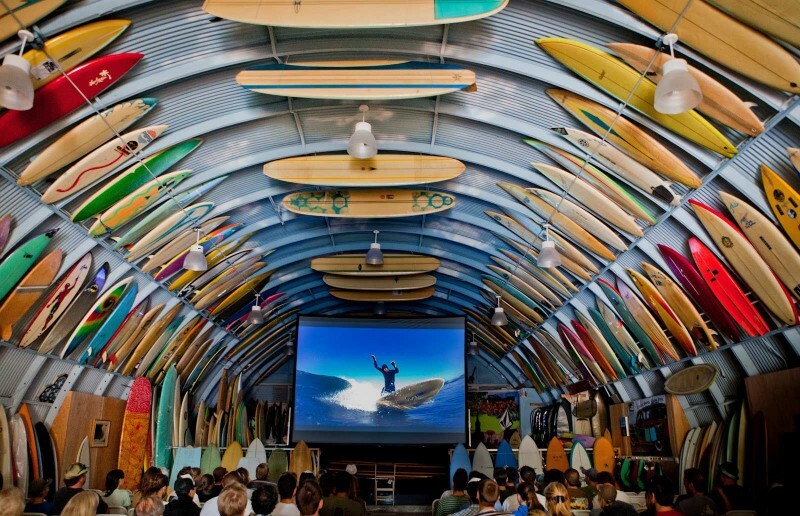 Discover California’s historic surf culture at Mollusk Surf Shop. If you’re seeking unique surf gear, art, music or films, Mollusk has the goods at any of the prime West Coast locations listed above. Deus Ex Machina’s third addition to its global ground fleet of marvel outlets is proudly located in Venice, CA—one of the most vibrant hubs of surf, bicycle, and motorcycle culture on planet Earth. Not to mention a really cool blog you can check out here, http://bit.ly/2jn26bp. Aloha Sunday is built around the notion that simple things can, and should, be made well. With a bi-coastal vision, the brand operates from both CA and NY. The Aloha Sunday Collection is a contemporary men’s range of finely tailored clothing built around the concept of dressing for occasion with a sartorial traveler in mind. Dread or Dead surf shop has been around since 1995. The store is a family owned business that started from very small beginnings, and has grown into a surf shop that can rival any store in the world for the products they carry. The shop was born out of an obsession to ride waves, but also came to exist from board repairs, surf school and surf tours. Read more Dread or Dead. Opening for business in 1996, Air and Speed was started by Stuart and Catherine Foley with hopes to provide the growing surf culture in the Montauk community with quality surfboards and apparel. Air and Speed is not only popular to local customers, but to all who choose to visit Montauk, New York during the warm summer months. Next time you’re in the Big Apple, stop by a shop with character at Pilgrim Surf + Supply. Search through the unique apparel while listening to the shop’s very own custom selection of tunes. Listen to their curated list of songs here, http://bit.ly/2jbJID0. WRV retail locations offer everything you need for the surf, skate, SUP, and snow lifestyles; including rentals, surf camps, skate camps, surf accessories, surf brands, fashion, swimwear and more. Check them out next time you’re traveling to one of the U.S. locations above. Thalia Surf shop offers the most unique surfing apparel we can get our hands on. They aren’t limited to just cool, retro surfing t shirts- they’re also stocked with hard to find surfboards, boardshorts, Japanese wetsuits, flip flops, surfing dvds, trucker hats and much more. By dealing directly with the artists and small, independent companies, they continue to produce products you won't find everywhere else. Ocean Hut Surf Shop has been around since 1975. The store has recently been remodeled since Hurricane Sandy, and now looks better than ever! Ocean Hut carries all of the things you need to accommodate both your surf and skating passions, in-store and online. Not only does Ete sell surf and skate products, they make movies, and who doesn’t love a good surf or skate video? View them here, http://bit.ly/2iBJZkN. Click here to see more Surf Shops from Surf Collective NYC.